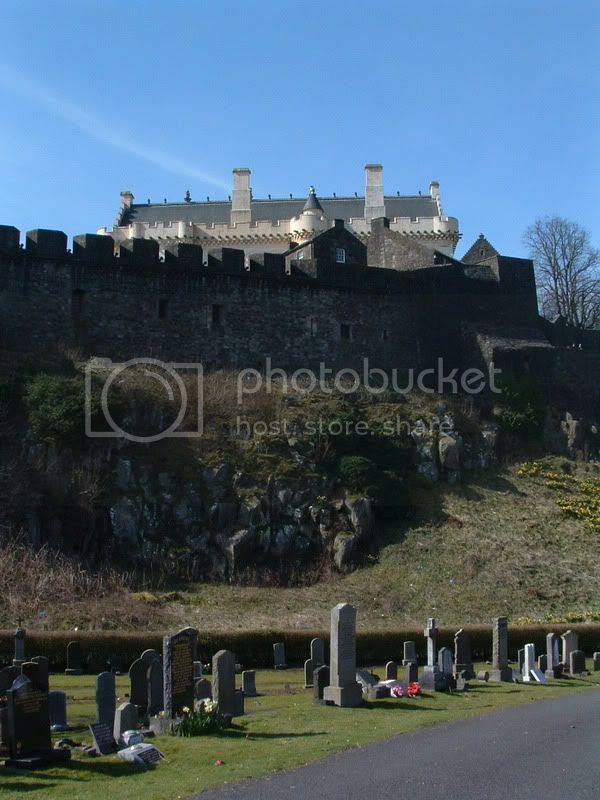 The building in the following 2 photographs shows the Great Hall of Stirling Castle believed to have been built in the early 1500's by King James IV. Ballengeich Cemetery sits at the foot of the ramparts on the east side of the castle. Additional information:	Husband of Margaret Alexander, of 36, Broad St., Stirling. 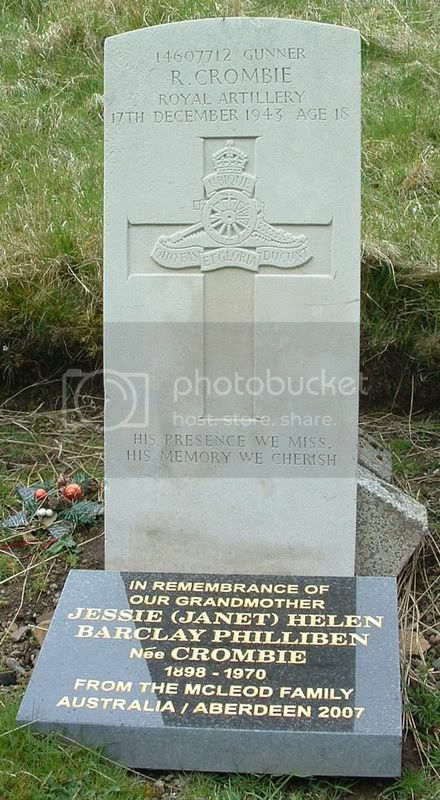 Additional information:	Husband of Jessie Anderson. 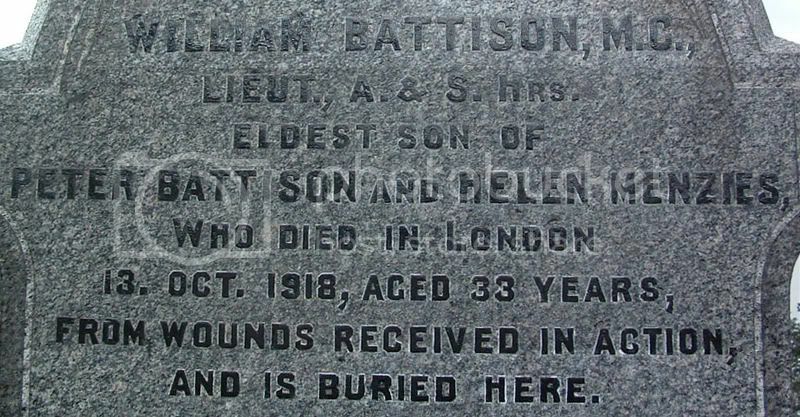 Additional information:	Son of Peter and Helen Battison (nee Menzies), of 10, Nelson Place, Stirling. 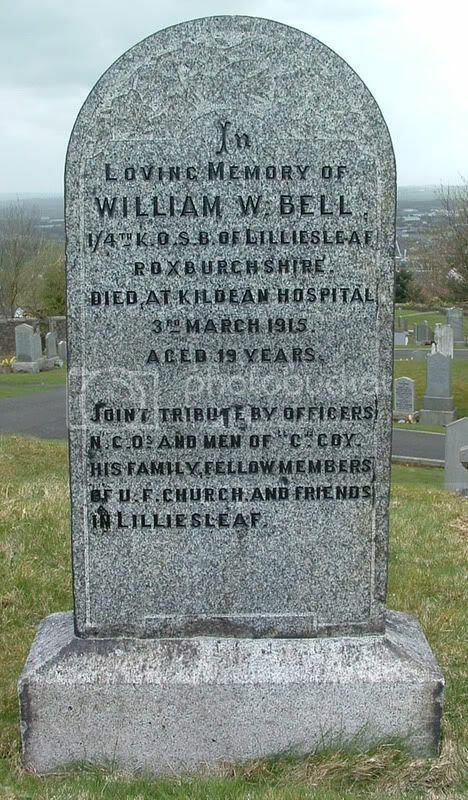 Additional information:	Son of John and Ellen Bell, of Lilliesleaf, Roxburghshire. Unit Text:	"D" Coy. 1st Reserve Bn. 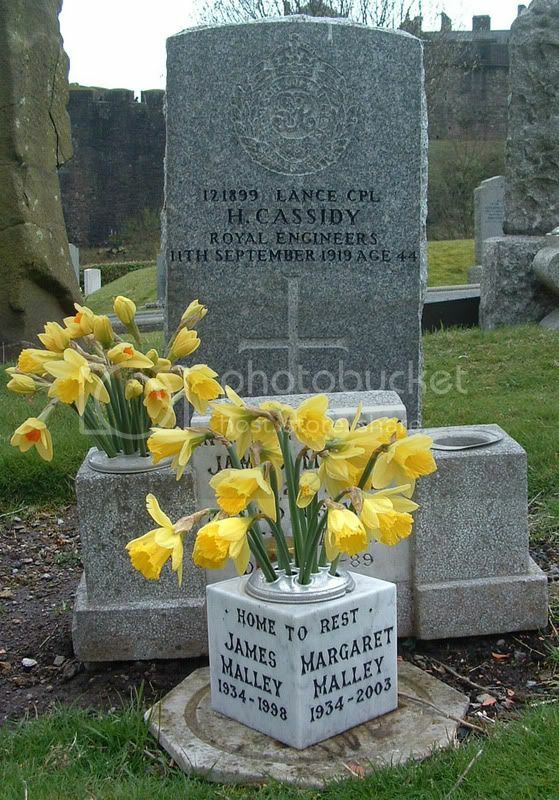 Additional information:	Son of Edward and Mary Ann Cassidy; husband of Jess Drysdale Cassidy, of 20, Broad St., Stirling. Born at Bannockburn. Additional information:	Son of Hugh and Margaret Cochrane, of 65, 3rd Block, Fallin, Stirling. His brother Thomas also fell. Additional information:	Son of Hugh and Margaret Cochrane, of 65, 3rd Block, Fallin, Stirling. His brother Hugh also fell. Grave/Memorial Reference:	Panel 72 and 73. Additional Information:	Husband of Margaret Newlands. 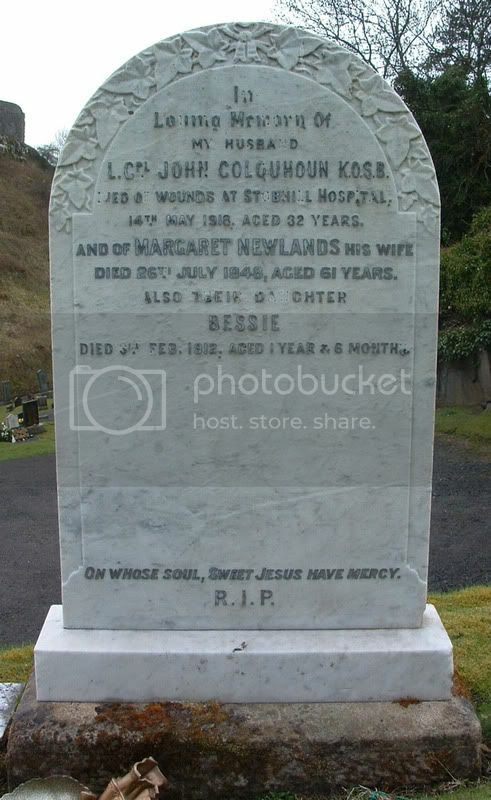 Died at Stobhill Hospital, Glasgow. 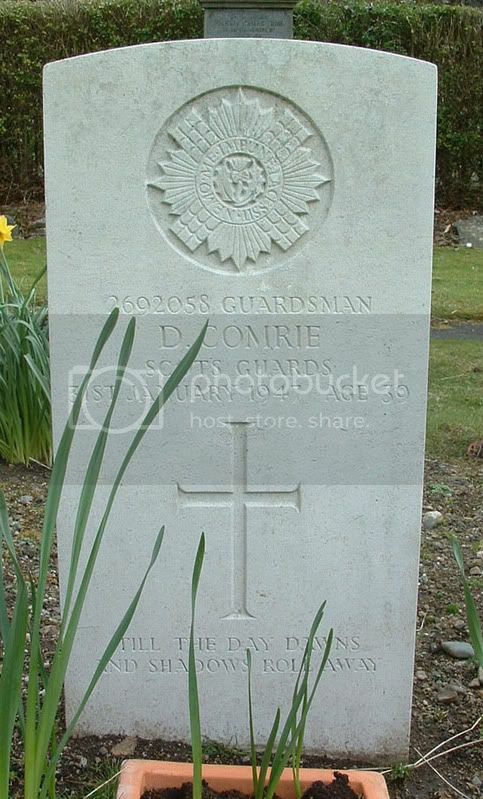 Additional information:	Son of George Smart Comrie and Mary Comrie, of Stirling. Grave/Memorial Reference:	Sec. C. D. Grave 54. Unit Text:	74 Field Coy. 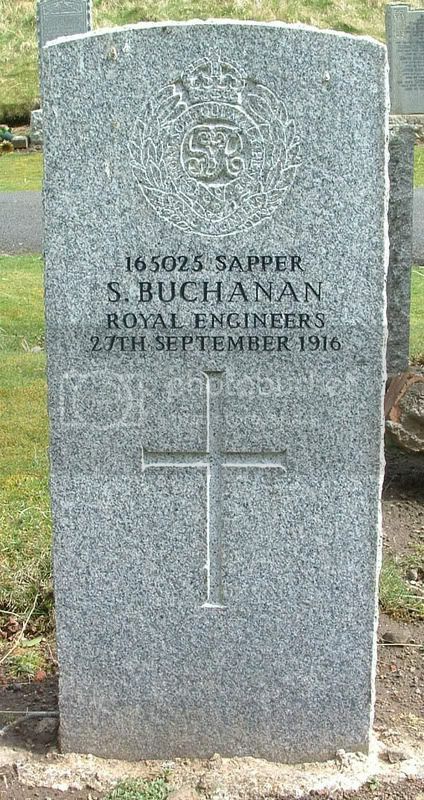 Additional information:	Son of John and Sarah Conway, of Stirling; husband of Mary Conway, of Raploch, Stirling. Grave/Memorial Reference:	Sec. M. Grave 99. 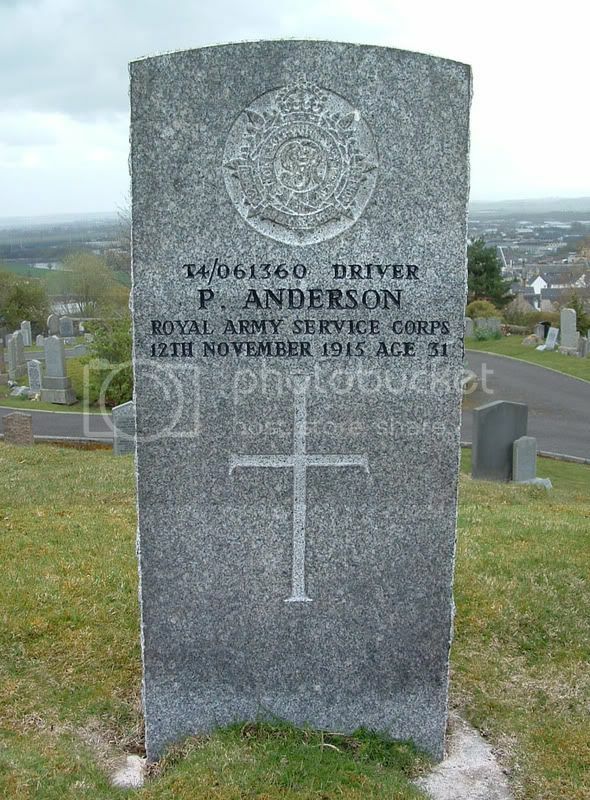 Additional information:	Son of Archibald and Agnes White Cowan, of Stirling; husband of Margaret Cowan, of Stirling. Grave/Memorial Reference:	Sec. 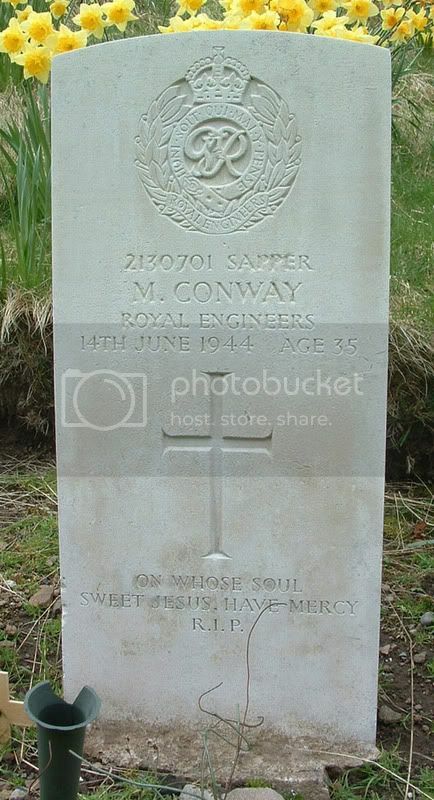 M. Grave 17. Unit Text:	195 Field Regt. 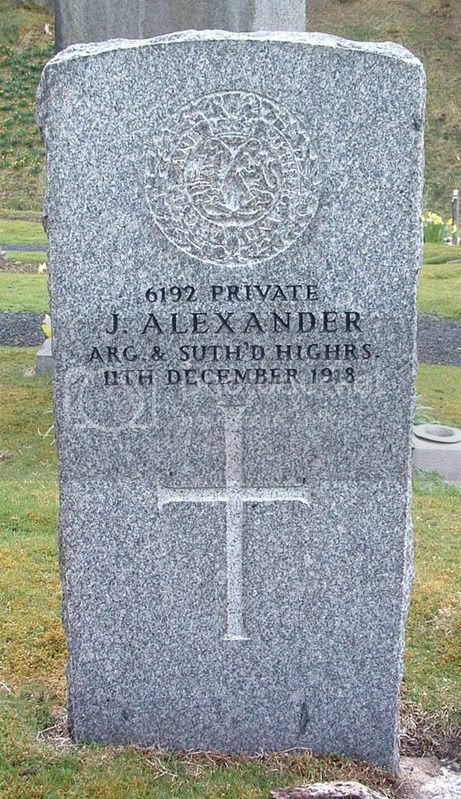 Additional information:	Son of John and Jessie Crombie, of Stirling. Grave/Memorial Reference:	Sec. 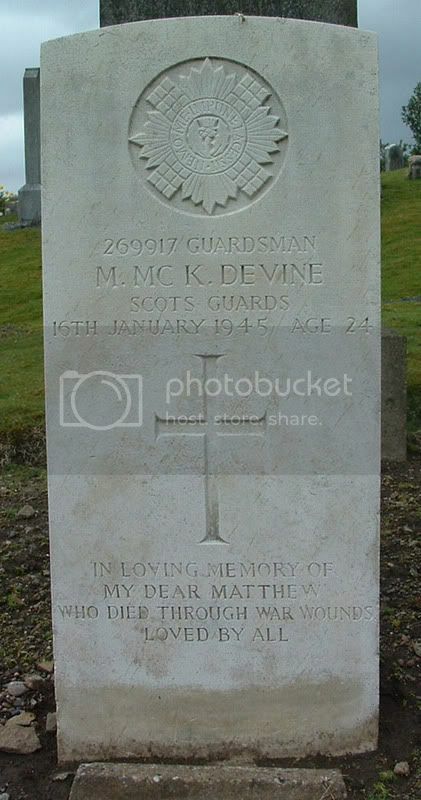 M. Grave 87. 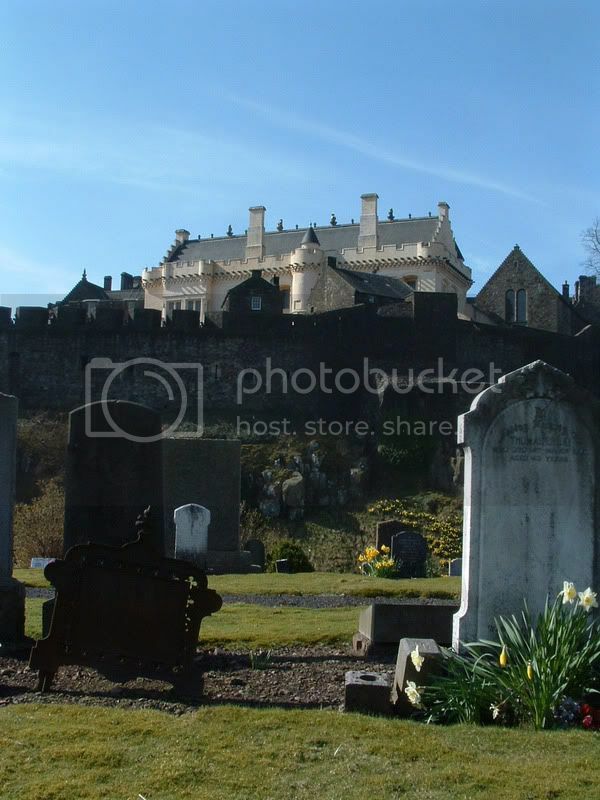 Additional information:	Son of William and Christina Davie, of 41, Baker St., Stirling; husband of Euphemia Louisa Ogilvie Davie, of 41, Baker St., Stirling. 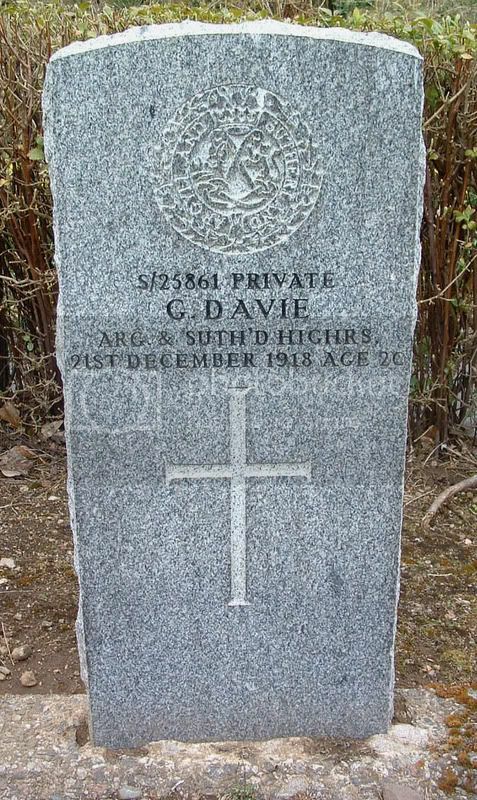 Additional information:	Son of Charles and Margaret McKay Devine, of Stirling. Grave/Memorial Reference:	Sec. O. P. Grave 24.